This post definitely requires an introduction as I am pleased to share with you some photos of an uber talented mama who has also become my fast friend as her & I have found (almost) innumerable things in common. Deborah & I met first through Pinterest & later became pen pals via Instagram (apieceofcake82) and she shares many views of her home which is quite breathtaking. I love seeing places like this that are real and lived in and am in such awe of the way Deborah knows how to make a beautiful and inviting place that is picturesque but also practical. I could go on and on about what a pleasure it has been to meet her, but I'll refrain. Below are some photos of her sons' room, Oliver & Sebastian, she's kindly shared them here first for all of you! Isn't it fantastic?! Deborah & I are kindred spirits because on multiple occasions we have discovered we have bought or own the same exact things without knowing. We have some personal things in common as well but I favor her place more than mine. The grass is greener...right? Anyways, I'll just say this, you may be seeing more of Deborah around AMM in the coming weeks. 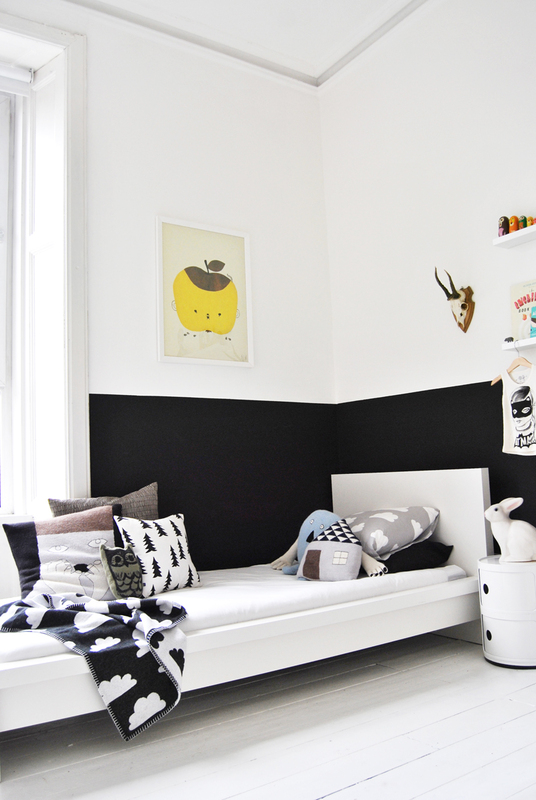 lovely room, beats my snoopy themed bedroom i had as a kid. I wouldn't mind that room for myself! I love it1 I recently found Deborah on Instagram and am addicted to your home and hers. Thanks for sharing. She has many things I wish I could buy for myself haha! i'm totally with you, rike! for me it looks like a showroom as well! 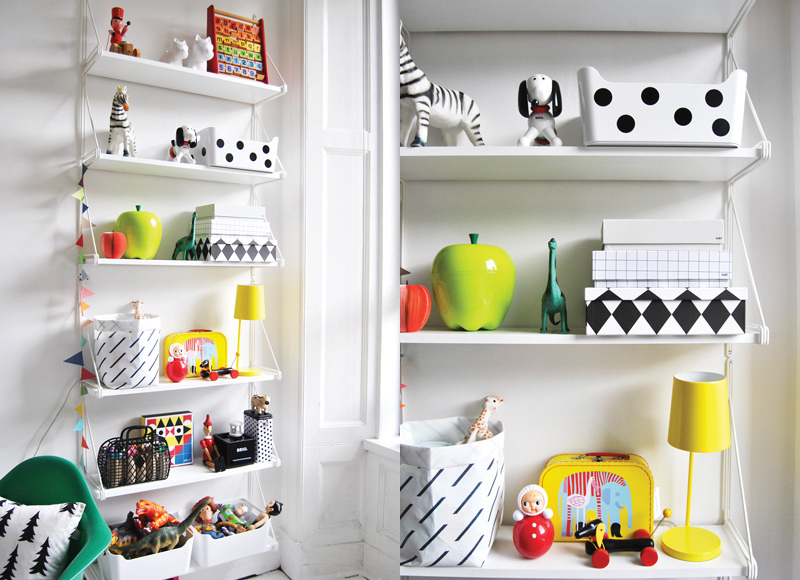 I love her kids room, it's not a 'shop showroom' because she has beautiful things there, I wish, you wish. I can see why you two have so much in common! You have such a similar design aesthetic. What a lovely home. I understand very well what you mean! I so like also! Beautiful and practical. goodness, this place is amazing. We have been following each other on instagram for a while now and I am so happy to finally be able to see proper pics of her children's room. And a big plus is that she is always so lovely when replying to her comments.... Great post from a great room! I just love it!!! So many great ideas! 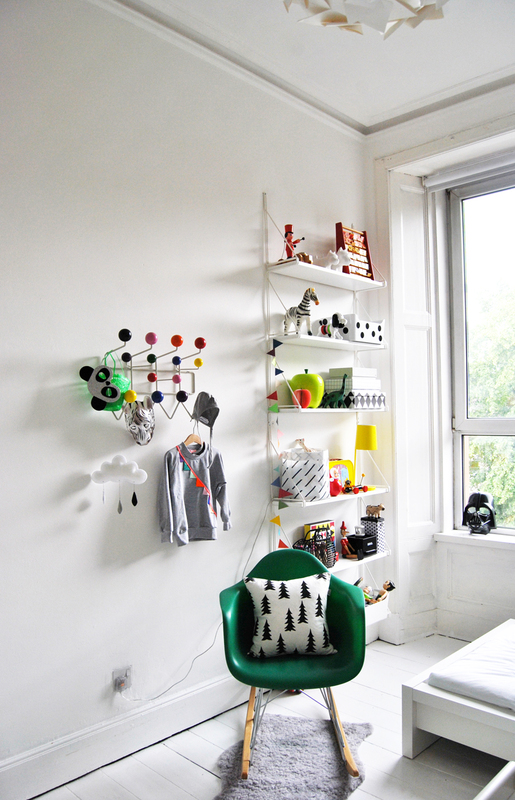 I am really fascinated with the simple black border on the wall but the pop of colour with the green chair and toys! I love the wall art and prints. 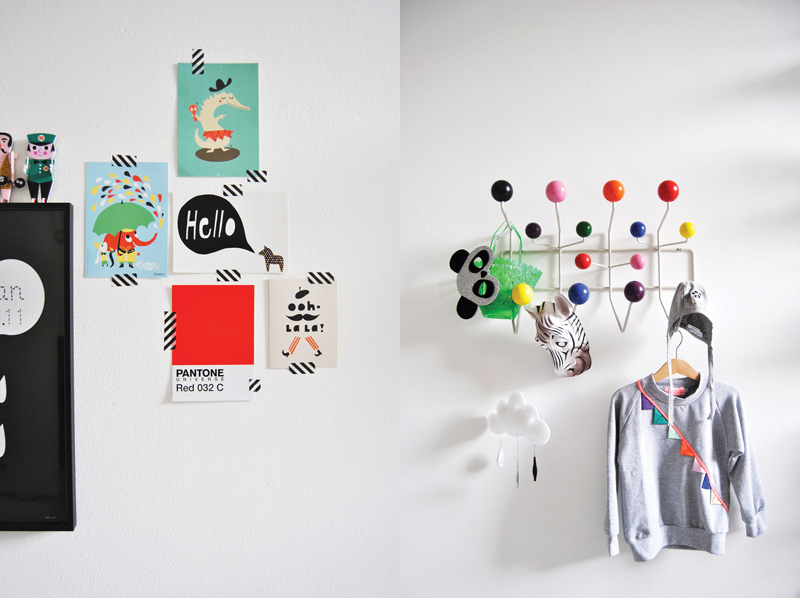 Where can I find them, I especially love the ooh la la print and the Pantone red! RIGHT?! I always have to check to see whos pics I'm looking at on Instagram, you or apieceofcake. I'm always telling myself you two are 2 peas in a pod! Please tell me where these shelves are from. I <3 them! Please tell me where this blanket in the cloud is?